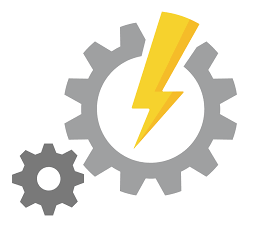 In case you missed my session last month at the Boston Area SharePoint Users Group, I will be delivering my session “Easily Integrating a Chat Bot into SharePoint” at the Granite State SharePoint Users Group next month, on Thursday, April 5th. Click here for more information and to register! Hope to see you there! 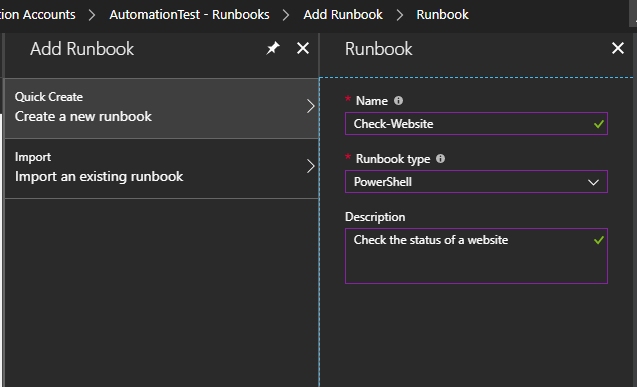 Runbooks are a feature of Azure Automation that allow you to execute workflows from within Azure or remotely to automate processes. 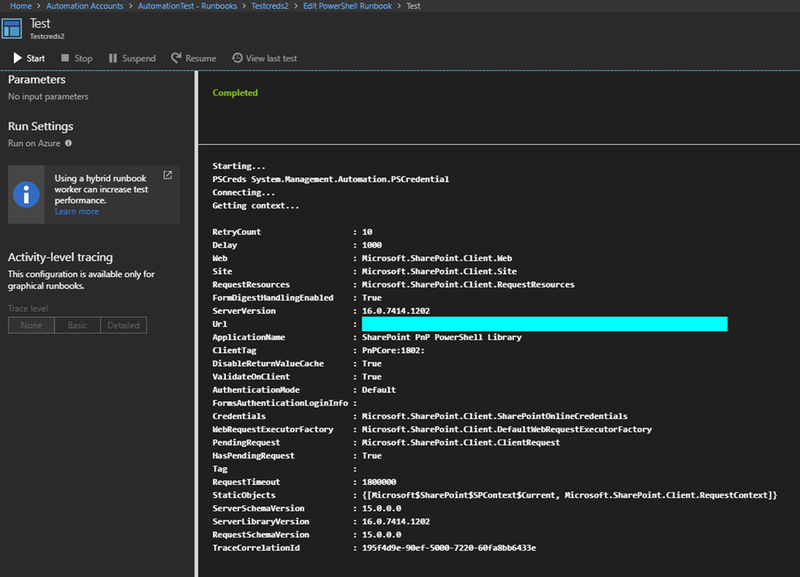 To give an example, lets say you have a script that monitors an Azure service every 5 minutes to see if it is running or not. 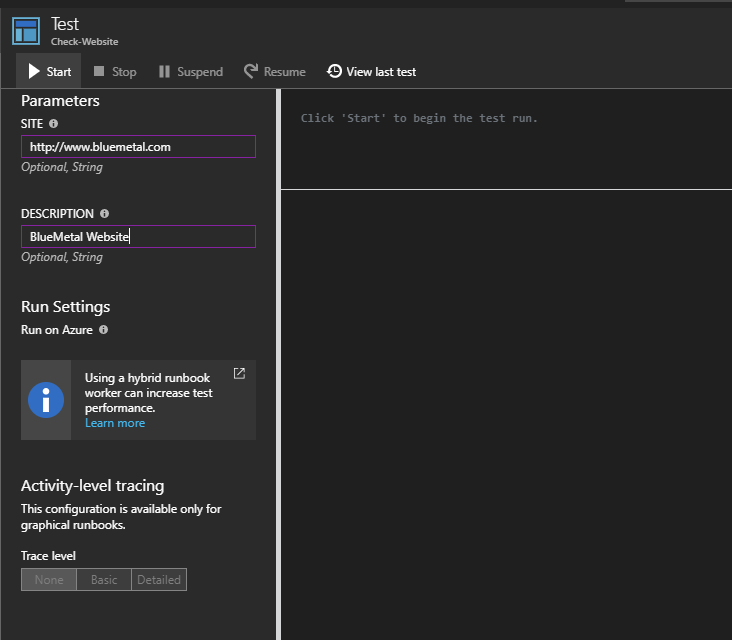 The script, will test and see the status of an Azure App Service. 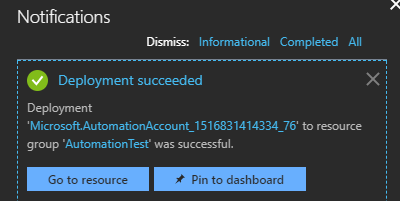 If it tests the site, and does not get the HTTP 200/OK message, then it triggers an alert, creates a ticket, and now someone has to go recycle the Azure App Service. If this can happen frequently, then it is something you would look to automate. 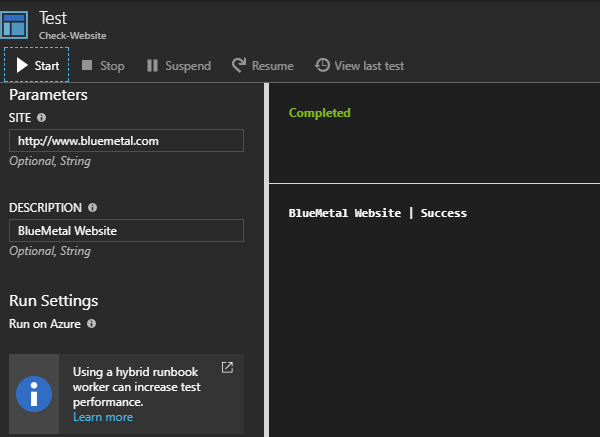 In comes the Azure Automation Runbook. 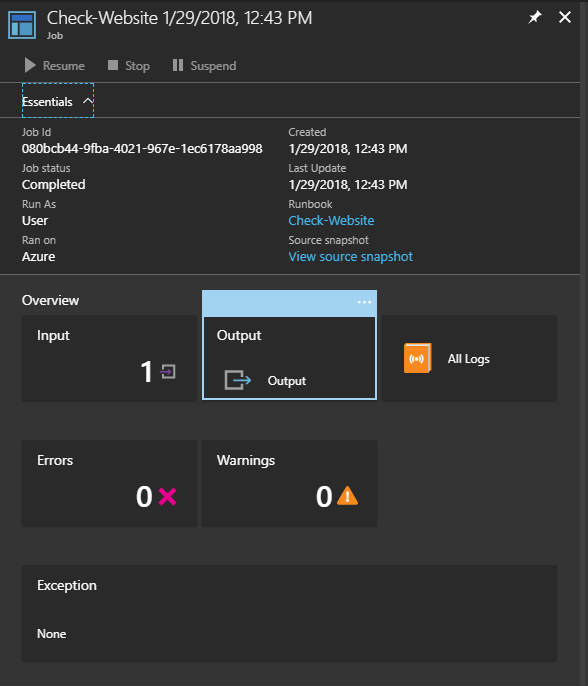 You create a PowerShell script that is hosted in Azure (a Runbook), and when your script detects that the service is not responding, it makes a call out to a URL, and the URL runs the Runbook, which restarts the Azure App Service. 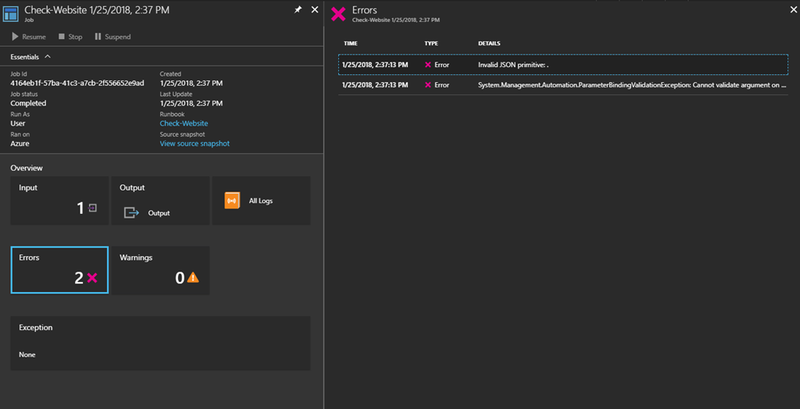 The monitoring script then runs again, sees that the service is back up, and the appropriate steps are taken. 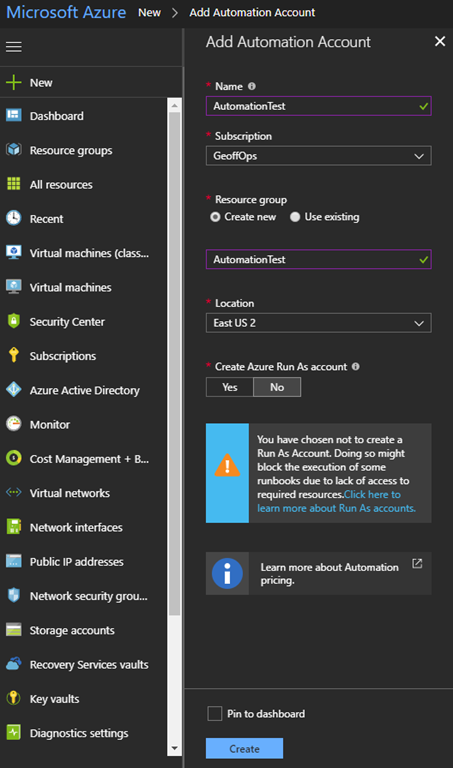 This might seem like a lot of extra work, but, if you are, say, connecting in through a VPN to manage an Azure environment, it can be quite time consuming just to restart a service. However, we are not using that as our working example in this article. That was just to give you an idea of the kinds of things that can be done using Runbooks. 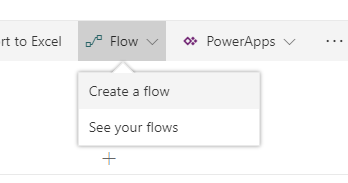 In this article, we will be showing you how to create a Runbook, and call it from SharePoint, using Microsoft Flow. It will not be a real exciting example either, but, it will show you how to do all this, so you can do more on your own! Name: What are you going to call it? Resource Group: Either create a new one, or, use an existing. 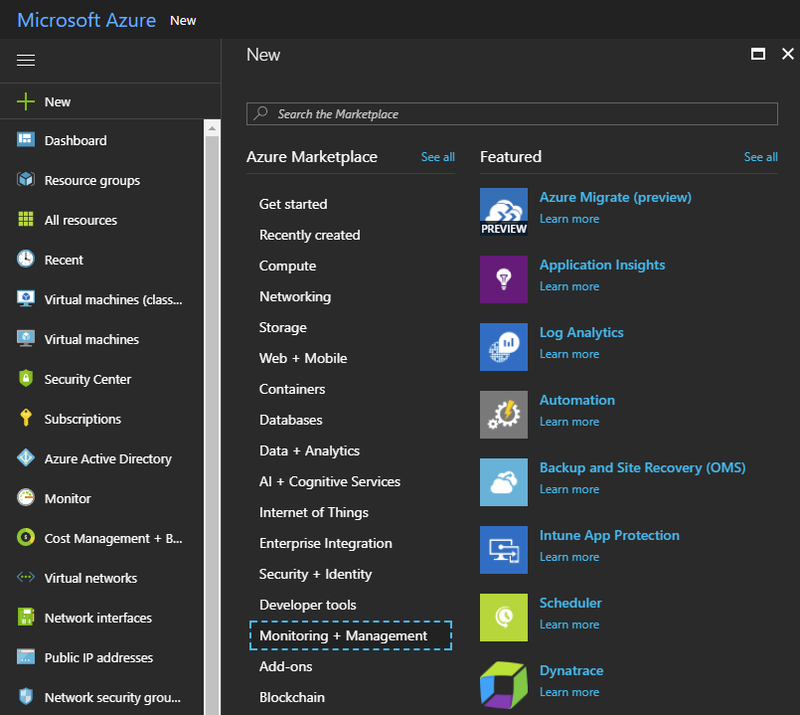 Location: Which Azure region should this run in? I am using East US 2… since I’m in the East US. 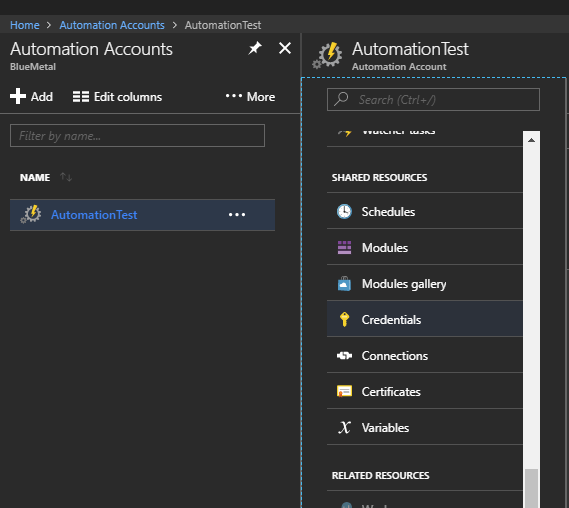 Once done… access it either by the Automation Accounts blade on the left side, or, via the Notifications link Go to resource once its done deploying. 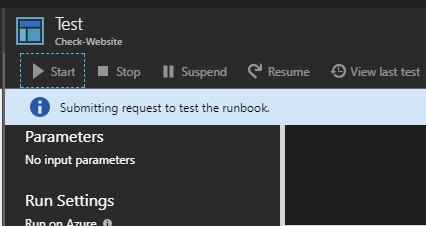 Now that we have our Automation Account, we need to create our runbook. 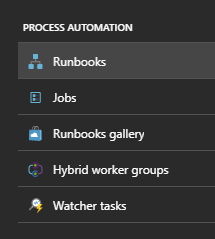 From within the Automation Account, click on Runbooks under Process Automation on the left hand side. And viola! 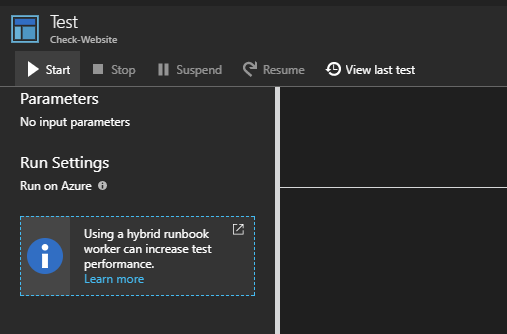 Your runbook has been created! It doesn’t do anything yet, so, we will need to add code. Click on Edit at the top of the dashboard. 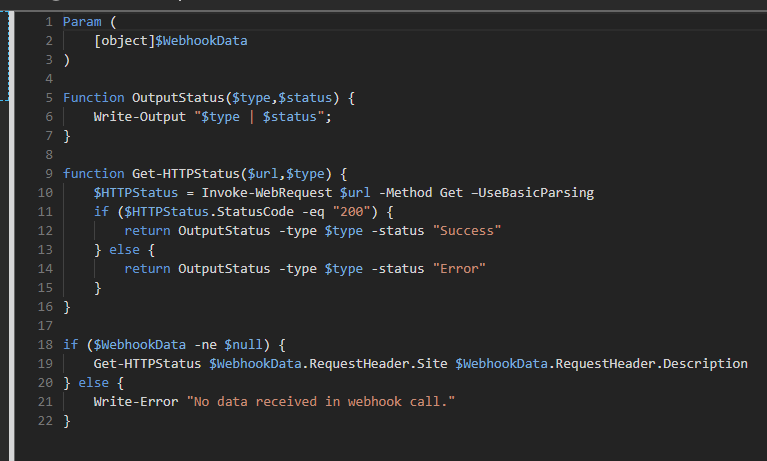 Here is where we will type out, or paste in our PowerShell code for the runbook. 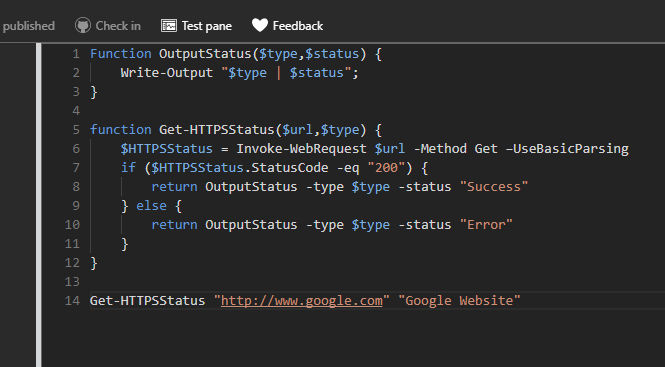 return OutputStatus -type $type -status "Success"
return OutputStatus -type $type -status "Error"
Looks good! 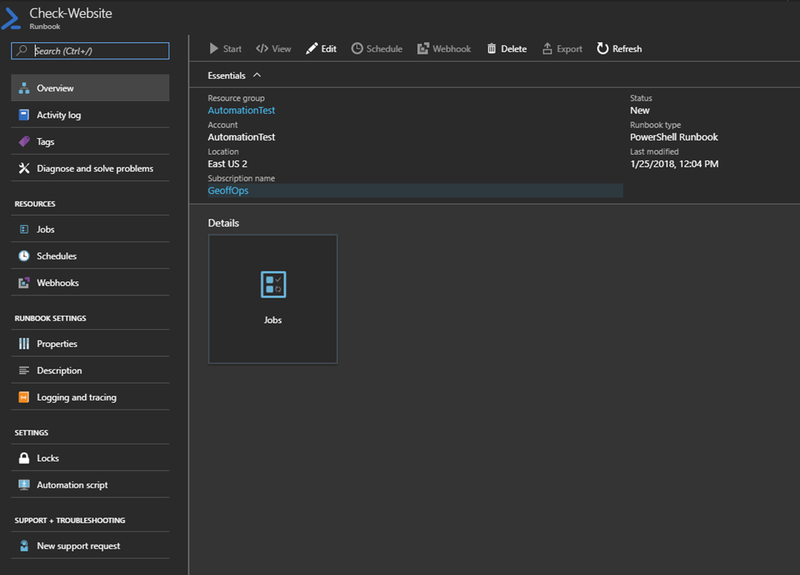 Now… we can do this all day from within Azure… but remember way back to the start of this article, I mentioned calling this from Microsoft Flow from within SharePoint? 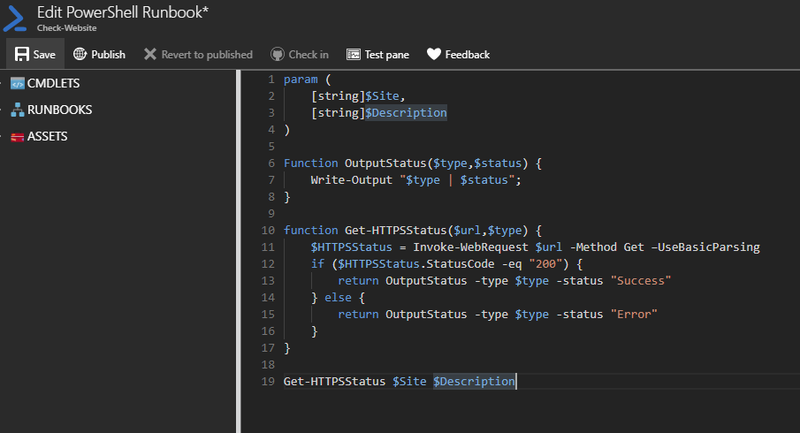 To do that… we’re going to need to make a change to our script, as well as create a webhook. We will then parse out the Site and Description name/value pairs from that and pass it into our script from the $WebhookData object. 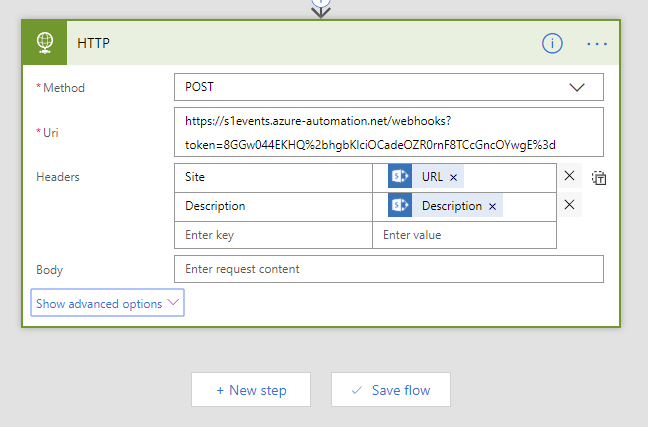 Write-Error "No data received in webhook call." It will prompt you to confirm, click Yes, and it’ll be published. 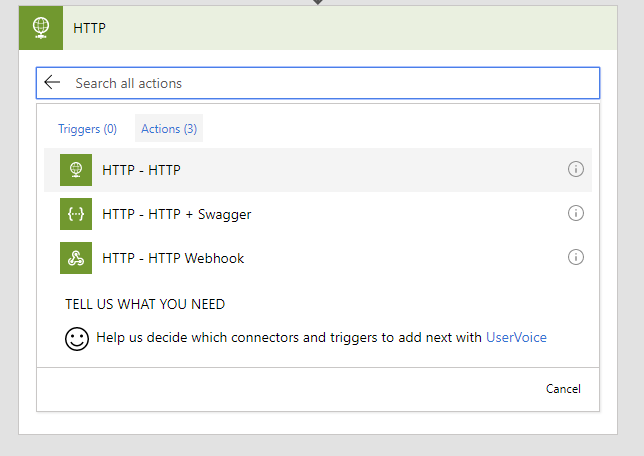 Now that we’ve got that straightened out… let’s move on to creating our webhook. See? Now… copy and paste that URL at the bottom, and save it somewhere. 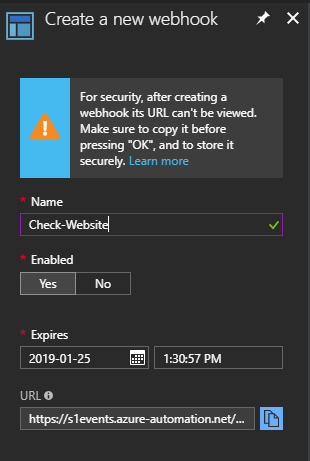 There is no way to get this URL once the webhook has been created. Ok… now what? 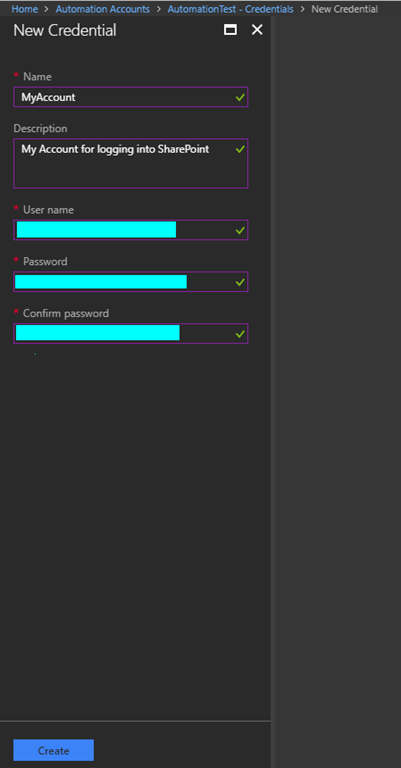 Let’s call it from PowerShell, since we need to do a POST to access it. You will see there were errors… because we didn’t actually send any data along with it. We just called it directly. 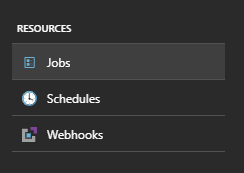 But now that we have it… we can move on to SharePoint and Flow. 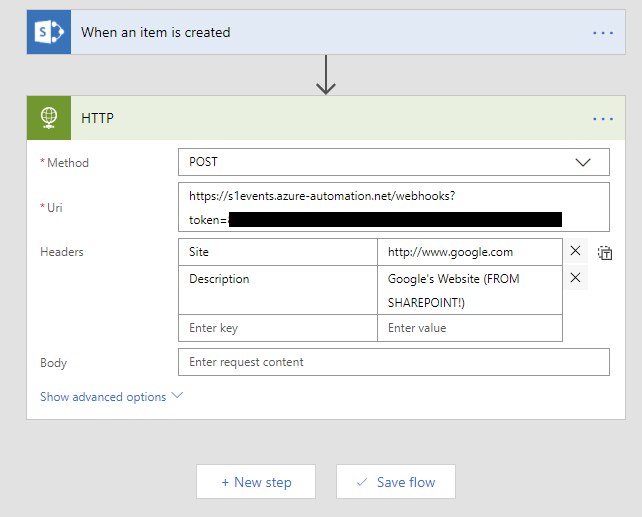 Now that we’ve gone through the meat an potatoes of this project… let’s look at linking at all together with SharePoint and Flow. 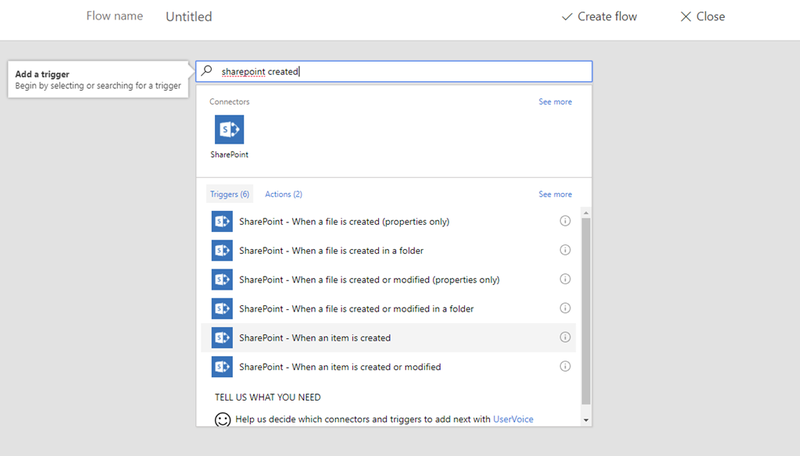 Log into your SharePoint Online tenant… and lets create a new list. 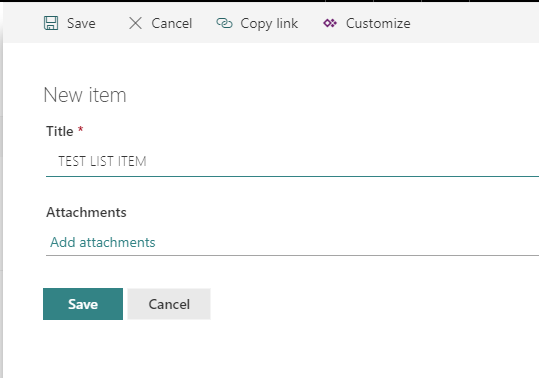 Click on Search at the bottom of the next screen, and search for SharePoint created… we want to add a trigger for when a new item is created in our list. You will see one succeeded! I’ve changed the Title field to URL, and added a field called Description as a single line of text. 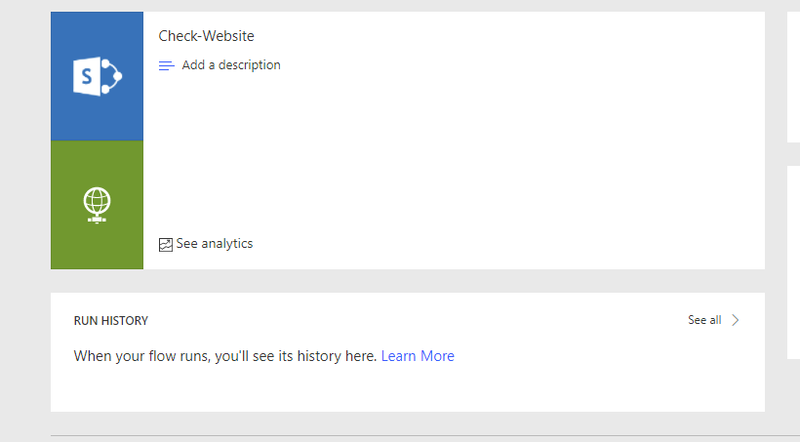 Edit the values for Site and Description, and then select the corresponding Site and Description values from the Dynamic Content list that pops up to the right. See what we’re doing here? It worked! It’s a day of miracles people! 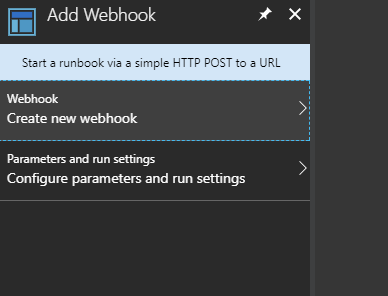 While this is not a really exciting example, it shows how to use Azure Runbooks and Webhooks, and how they can be accessed remotely to do a specific task. 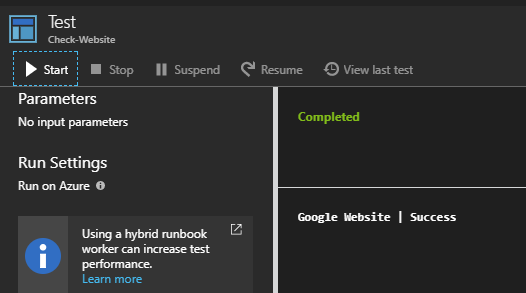 What sort of cool things are you doing or have you done with Flow and Runbooks, if anything? 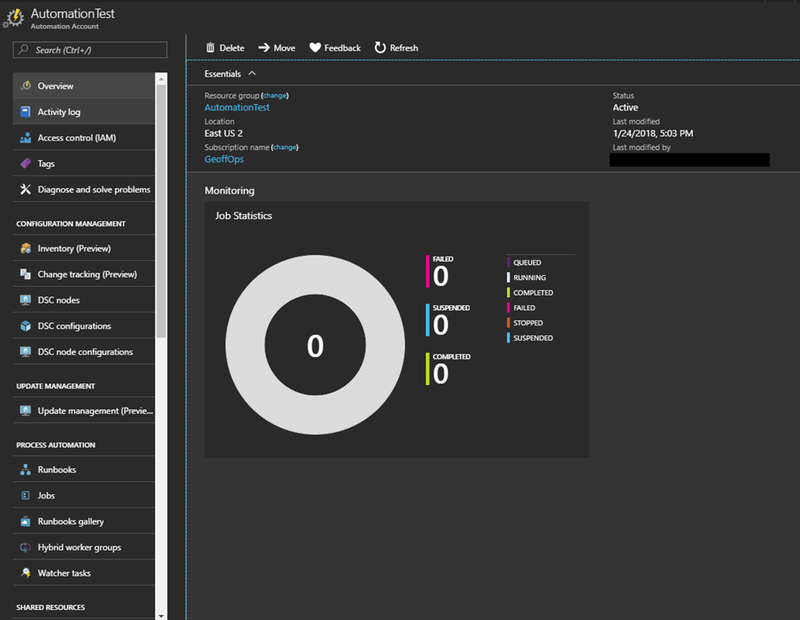 Are you curious about Office 365? What it is, how it can save you time and help you be more productive? Are you getting the full benefits of all that Office 365 has to offer? One of the ways for people to get the most out of this new and constantly evolving suite of products is to have people to turn to; a place to go to explore new features and functionality or just learn more, share experiences and ask questions. 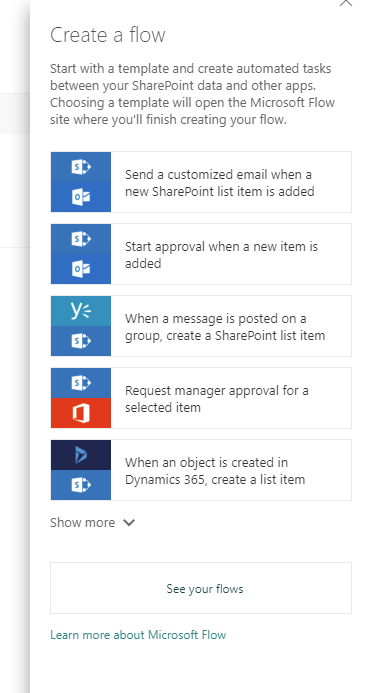 Formal training is great (we strongly encourage ongoing training for users of the Office 365 suite of products), but there are times when you just want to interact with others or ask a simple question. Help has arrived. Jornata is pleased to be a founding organizer of the Boston Office 365 User Group. Our co-organizers include Microsoft, Wellington Street Consulting, Slalom Consulting and Cognizant Technology Solutions. The group will met monthly, beginning on Thursday, May 22nd, and on the third Thursday of every month thereafter. The event will take place at Microsoft’s New England Research and Development Center (NERD) at One Memorial Drive in Cambridge. Attendance is free and food and beverages will be provided. You can learn more and register for the meeting or join the mailing list. Fittingly, for the initial event, Microsoft’s Chris Bortlik will present an overview of Office 365. His discussion will include an overview of current Office 365 functionality, including Yammer, Lync Online, mobile applications and Office 365 Pro Plus. He’ll also explore administration and update issues. Chris is an Office 365 technology architect at Microsoft. There are plenty of ways to keep the conversation going. We have a web site, Linked In group and Yammer group, or you can follow us on Twitter @Bos365. We want this to be your group. 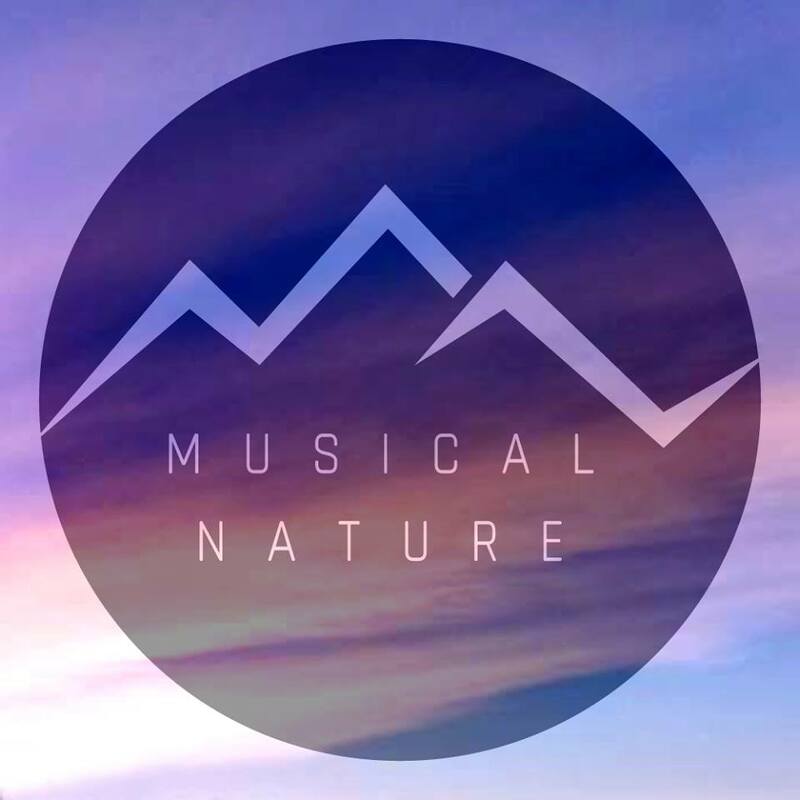 Feedback, ideas, and suggestions are welcome. What topics would you like to see the group address? Are there other elements that you feel should be added to the program? We’ll provide a place to air your grievances and perhaps learn how others have dealt with the issues you’ve encountered. 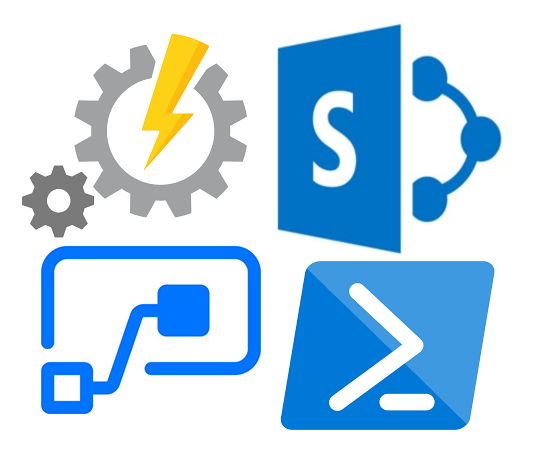 We’re also looking for event sponsors to provide food, beverages and raffle prizes for the events or pick up the tab for the Office 365 Happy Hour that will follow each meeting at a local bar or restaurant. If you’re interested, or know anyone who might be, please contact us. 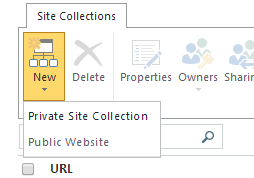 I have a Public SharePoint Online site? Yes. Yes you do. Well, if you have Office 365 and it is part of the license which you purchased. You didn’t have to do anything, you have a public facing (anyone on the internet can hit it just like a normal website) website. 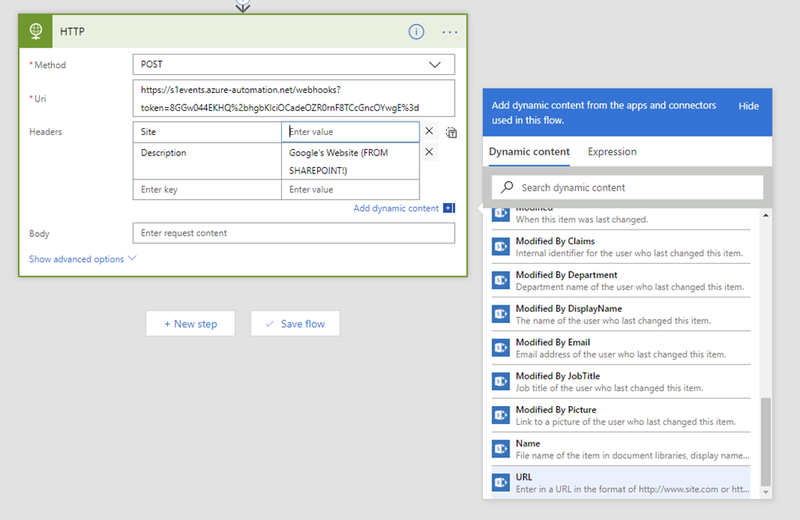 The default URL will be http://yourtenantname-public.sharepoint.com. Oh Cool! 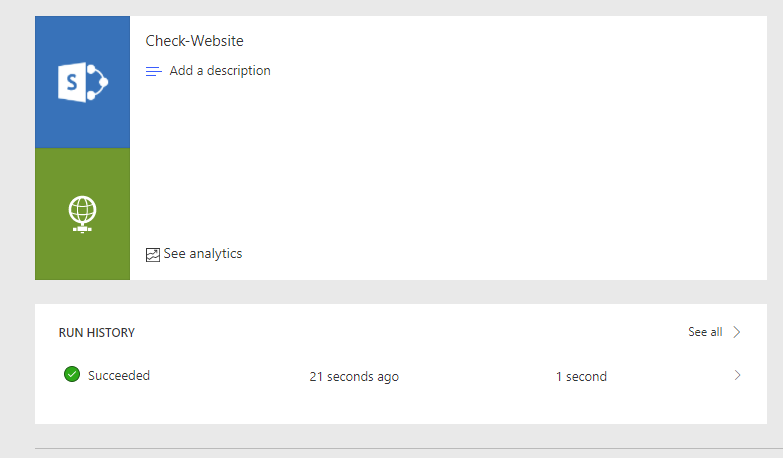 Now I can create a website like Ferrari in Office 365/SharePoint Online???? No. 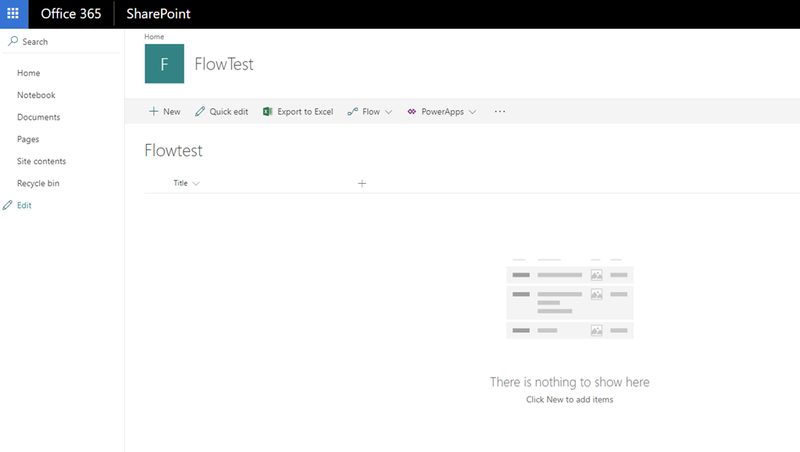 As of yet, SharePoint Online in Office 365 does not contain all of the super awesome Web Content Management and publishing controls that SharePoint 20XX on-premises does. Ok, the public website is enough for my needs, can I create more than one? No. Once you have one created, you cannot create another one. 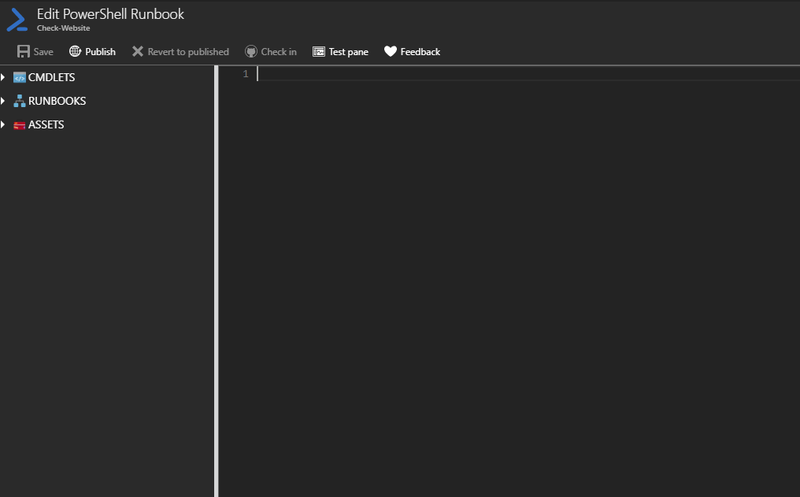 It will appear greyed out when attempting to create a new site collection.